Lake Erie abounds with wild, natural beauty. 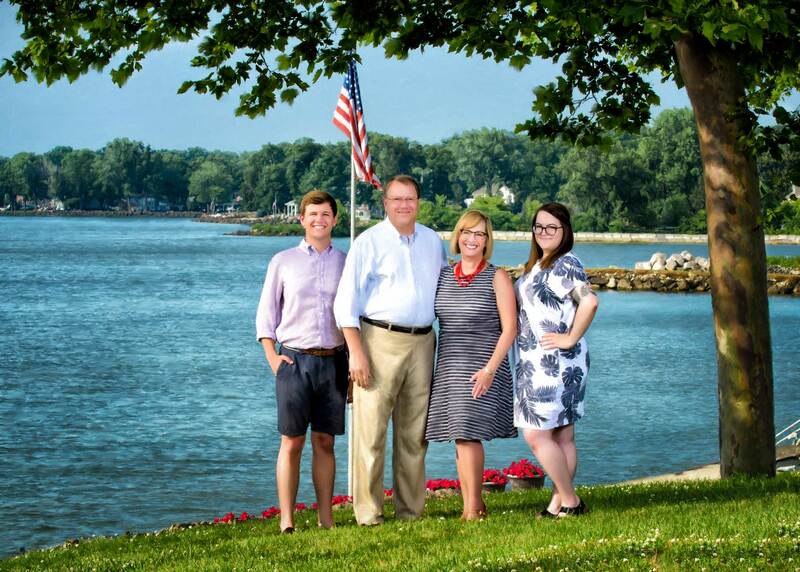 If you are vacationing in the area, or you live here, there are many place to have family portraits in Port Clinton or Cawtaba Island. Why Have Family Portraits Taken? One of the best ways to preserve a memory is through photography. Beautiful family portraits can be treasured memories of vacations, homes, celebrations and life’s major milestones. Life changes fast, and your kids won’t be kids for long. Maybe your children are already grown, and you are in the throws of grandparenthood. From first haircuts to first cars, and from preschool graduations to weddings, time passes so quickly, and if you blink, you’ll miss something important. 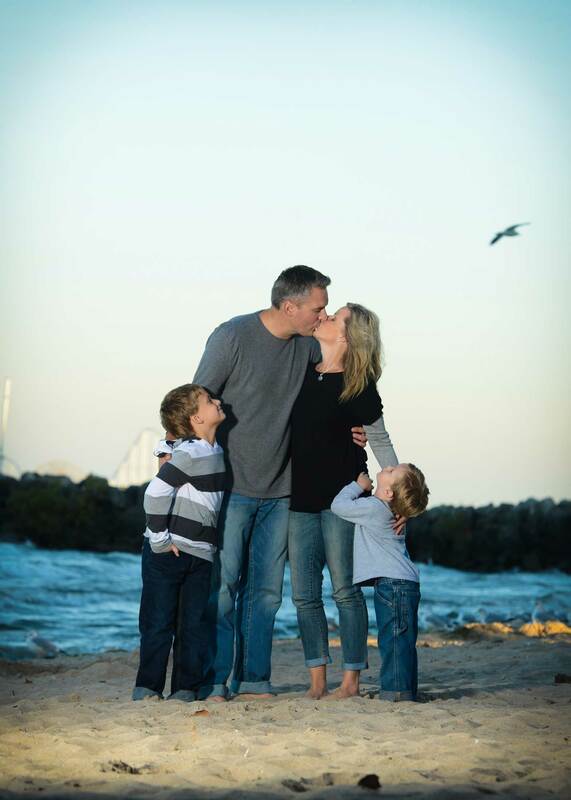 Family portraits are a fantastic way to capture these precious memories. After all, whatever your stage of life, one thing is certain: time marches on. Beautiful, quality family portraits are a fantastic legacy to leave to future generations. Some day, your children and grandchildren will be grateful that you took the time to create such wonderful mementos. To capture a snapshot in time that your children and grandchildren can treasure for decades to come, consider family portraits on Lake Erie to commemorate a special event or in celebration of your lives together. We believe that your family is your most important work of art. One of the best parts of getting family portraits taken is enjoying the time together. The occasion should be fun, and we want to help you make it so. Plan your family portraits around a special family event, such as an Independence Day barbecue, a sweet 16 birthday party or your parents’ golden wedding anniversary. Making the portrait session a scheduled part of this occasion will make the experience a lot more fun for all involved. With a goal of offering beautiful, high-quality Cawtaba Island Family Portraits and Port Clinton Family Portraits that will be treasured for many years, we will work with you every step of the way to create these heirloom mementos of your life. How Does The Portrait Process Work? Now that you’ve decided to have family portraits made, you may be wondering how it all works. We want to make the entire process, from planning to execution, as simple as possible for you. First, we set up a consultation with you to discuss the portraits. This can be done by appointment at our studio or over the phone. The choice is up to you and at your convenience. In the consultation, we will discuss where you want your portraits done, who will be in them, the style of the portraits, where you will hang them in your home and any other ideas or questions you may have. We will work with you to come up with a custom plan for your family portraits that pleases all involved. Our professional photographers will have everything ready for you. All you need to do is show up dressed for the occasion. Your portraits will be shot with stunning scenery in the background. We have already done the scout work for you by selecting some of the most beautiful areas in Port Clinton and Cawtaba Island for possible portrait sessions. Once we are on location, Eric and Jessica will tell you where to stand and give other guidelines. We aim to create portraits that look as natural as possible rather than straight-laced, formal poses. From ensuring that everyone is smiling to checking that no one has the sun in his eyes, we have it all covered. We will take enough portraits so that you have plenty of options to choose from in the finalization stage, but not so many that you are overwhelmed. We select the cream of the crop from the session for you to choose from when the time comes. Our finalization stage is fun! Once you have selected the portraits you like best, you get to see how your finished portraits look on the walls of your home before they are even printed. In many cases, we can come to your home and help you with this process. Using state-of-the-art software, we will superimpose a portrait onto your wall, allowing you to determine size specifications and other details. If the portraits are to be displayed in a second home, simply supply us with photos of the wall in question. Our software will place an image of your family portrait into the photo of your home. We can also make suggestions if you aren’t sure where to place your portraits, what size to print them or how to frame them. From start to finish, we want your portraits to be exactly how you imagined them–or even better! As you plan for your Cawtaba Island family portraits, here some things to consider. Planning the time of year. 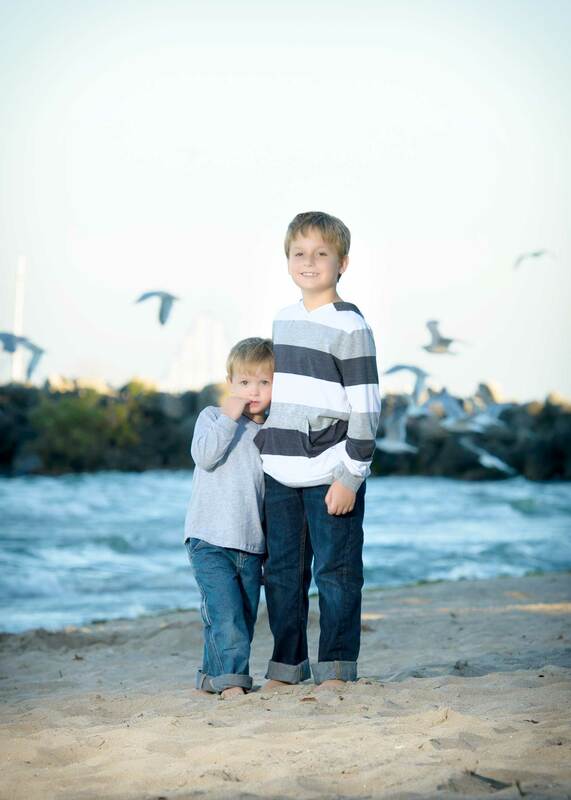 Spring and summer are the ideal seasons for family portraits on Cawtaba Island or for family portraits in Port Clinton. The weather is warmer, the sun is brighter and everyone seems to be in a better mood. You are also far less likely to have to cancel because of rain or a storm warning. Having portraits taken in the spring or summer also makes it easier to plan your session around a family event. However, you needn’t limit yourself to this time of year. We can work with you on Christmas portraits or fall break portraits. Just let us know what works best for you in the consultation stage. You may also want to take into account when certain family members will be most readily available. For instance, if you have a child in college, you may need to plan your portrait session around spring break or summer vacation. Similarly, if you have a spouse in the military, plan your portrait session during a scheduled leave. If you want suggestions on timing, we can help you with that in the consultation stage too. When choosing what to wear for outdoor portraits, consider the backdrop. For instance, if you will be in front of water, you may not want to wear blue. If you have trees in the background, green may not be the wisest choice. Dark colors may also be a poor choice when having outdoor portraits taken. Solid colors are better than patterns in most cases. You want the focus to be on the happy faces of your family, not on that elaborate paisley dress Grandma is wearing or on your cousin’s outlandish necktie. To streamline your wardrobe choices, you may consider having everyone wear matching or coordinating outfits. Coordinating is better than having everyone in the exact same color. You don’t want your family to end up looking like a line of school children at a private academy. Another good rule of thumb is to choose clothes that you are comfortable in. You may be in these clothes for several hours, and children, especially, can find wearing formal attire frustrating. Also, wear outfits that are natural to you, not something you would never wear on any other occasion. Another option is to check our our Family Portrait page for information and ideas. Finally, remember that outfit changes are welcome in our portrait sessions, so if you aren’t sure which clothes will work best, bring a few options along. We can also advise you on which clothes we think will look best in your finished portraits. Who will be in the portraits? After or during the consultation stage, you will want to decide who will be in your family portraits. Some people choose to do portraits with only the immediate family. Others like to include extended family members, such as grandparents or cousins. As you decide, bear in mind that some people may not be permanent members of the family. While some may take offense to the choice, you might consider not including partners who have not been dating for long. No one likes having to cut someone out of a portrait years later because a relationship didn’t last. On the other hand, you may want to include some non-permanent family members like foster children or a close family friend. Whatever you decide, we are happy to accommodate your family, whether you have four people involved or forty. 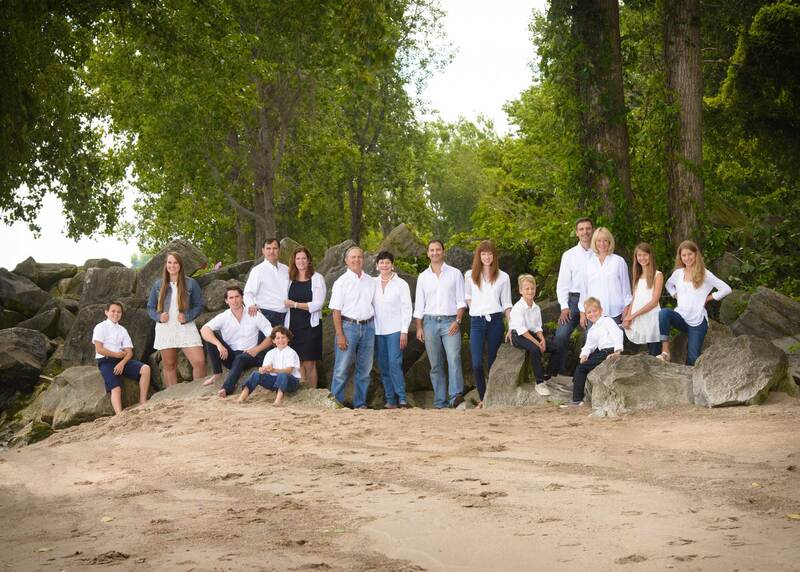 We want you to be entirely happy with your Cawtaba Island and Port Clinton family portraits. The finished product should be one that both photographer and client are 100% happy with. After all, we are creating a work of art; a prized memento that your family will treasure for many years to come. If you are ready to get started planning, contact us or visit our family portrait page to learn more.